Posted on June 21, 2012, 10:10 am, by Thomas Hawk, under Drobo. Drobo announced today that they are releasing two new Drobo machines, the Drobo 5D (as in 5 drives, not to be confused with the Canon camera) and the Drobo Mini. These are the smallest, sleekest, fastest Drobos yet — and while they won’t be available until later this Summer, I’m super excited and can’t wait to try one out. Most significantly, these new Drobos are the first Drobos that are Thunderbolt enabled. The new MacBook Pros announced at Apple’s WWDC last week are amazing machines — in my opinion, the best laptop ever created. I’ve ordered one for myself with all of the top-end specs available (16GB RAM, 768 SSD storage, 2.7GHz Quad-core Intel Core i7). One thing the new MacBook Pro does not come with though is a FireWire 800 port. I currently use FireWire 800 to connect my Drobos (I’ve got 5 at present) to my almost 3-year-old MacBook Pro. While there is an adaptor being released to convert FW800 to Thunderbolt (and Apple’s Thunderbolt Cinema Display also has a FW800 port in the back), in order to connect external storage directly to your new MacBook Pro you’re going to need (and want the speed) of Thunderbolt. With the new Drobos you can have all of the speed of Thunderbolt (or USB 3, which is USB 2 backwards compatible) for your external replicated storage needs. What’s more, the new Drobo 5D has a slot where you can also add SSD flash memory. This flash memory will be used for Drobo functionality to speed it up even more. It’s likely cost prohibitive to store terrabytes of photos on flash memory for archive purposes, but allowing you to mix and match cheaper hard drives with faster SSD, the new Drobo 5D gives you greater speed and still more economical storage. In addition to the 5D, Drobo released the Drobo Mini, a new device which uses smaller laptop drives to give you replicated, portable storage on the go. For photographers who work in the field alot and need a high capacity device which spreads their photos across multiple drives to protect against drive failure, this product seems ideal. Both of the new Drobos have dual Thunderbolt ports in the back which allow you to daisy chain them to other Thunderbolt enabled devices. The new Drobos will sell for $799 and $599 (and that price does not include any drives which you will need to purchase for yourself). Like previous generation Drobos, what appeals to me most about their product is that it’s so easy to use. You simply plug it in and it works. Over the years I’ve had a lot of people talk to me about how their own custom built RAID configurations are better/cheaper than Drobos, but these configurations are usually highly technical to build and manage and I like something that I can simply plug in that will work without me having to configure or manage anything. Of course, a Drobo should only be your first line of defense as part of a good backup strategy. 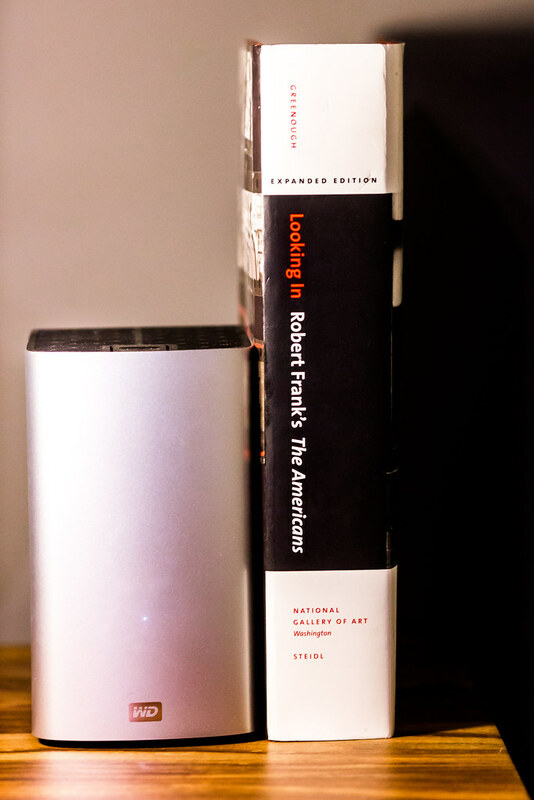 A Drobo can still be damaged in a fire or stolen (which is why I keep my archived photos on Drobos in a fire proof safe in my home). As part of a complete backup strategy you should also consider keeping additional copies of your photos in the cloud or offsite in a safe location (like a bank safety deposit vault). What a Drobo can help you with though is hard drive failure, which is the way most of us lose data and files. 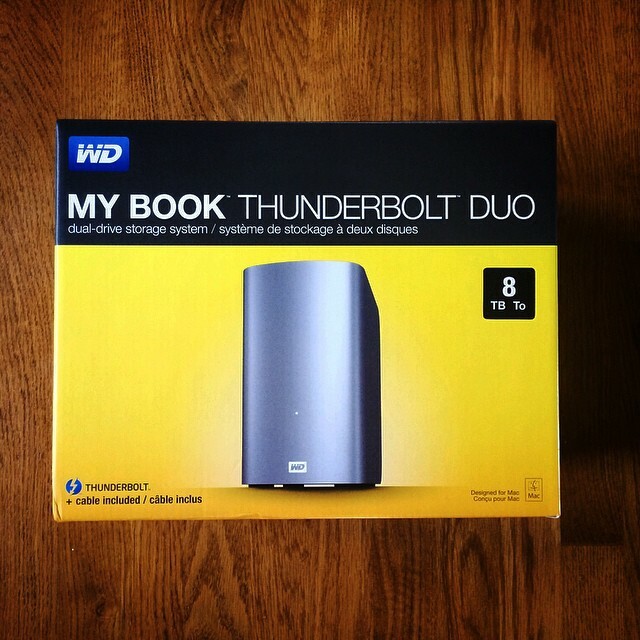 I’ve had two hard drives fail on me (out of over 20) over the past five years or so since I’ve been using Drobos. In both cases I was able to simply eject the failed drive out of my Drobo, replace it with a new drive (the old drives were also warranted and replaced by Seagate) and my Drobo healed and all of my photo data was restored. I’ve also had one Drobo unit itself (of six) fail on me. This was one of their earliest units that I’d purchased. In that case I was able to simply remove the four drives that I had, put them in a new Drobo unit and my data was completely intact and restored perfectly. For me, Drobos remain a great tool to prevent against hard drive failure and I sleep a lot better at night knowing that I’ve significantly reduced the risk of losing photos. My strategy on the road has been to put my photos on my laptop’s hard drive and then run time machine on an external Seagate FW800 GoFlex USB powered drive. This ensures that I have 2 copies of my photos available to me in the field while I’m working and shooting. My problem is that sometimes I max out my 750GB hard drive and when I run out of room I’ve been putting the extra photos on another external hard drive (unbacked up). This is a risky strategy, even for a few days, for the unbacked up photos in the field. The Drobo Mini seems like a much better solution that can give me the capacity that I need remotely while still protecting me against hard drive failure in the field. I’m excited about these two great new products that I can’t wait to try out. By way of disclosure, Drobo is a sponsor of my weekly video show Photo Talk Plus (check out last night’s episode with Special Guest Tamara Pruessner!). I’ve been a huge fan of Drobos well before they ever became a sponsor though and have blogged about them extensively in the past. More on the new units from The Verge. Do You Buy Photography Advertising? Posted on December 10, 2011, 9:43 am, by Thomas Hawk, under Drobo, Photo Talk Plus, SmugMug, Trey Ratcliff. Trey Ratcliff did a little experiment comparing the return on his advertising in traditional old world media like photography magazines vs. new world media like websites and blogs. His analysis shows a much better payoff for him using photo web sites and blogs to advertise vs. photography magazines. Do you buy photo related advertising? If so what do you think of Trey’s analysis and where do you think is the best bang for your buck? Oh and go check out Episode one of our new video show Photo Talk Plus. It’s out now. Sponsored by advertisers who DO get it over at SmugMug and Drobo. And don’t miss episode #2 next Wednesday night at 8pm PST when we’ll have space photographer NASA astronaut Ron Garan on the show.